Looking for an author to visit your school this fall? Summer is finally almost finished, and school is back in session for many teachers and students. If you’re looking for an exciting and experienced author to come visit your school, you should contact Kristin Joy Pratt-Serafini. Kristin has spoken at schools in almost every state in the United States. She has authored many award-winning children’s books, including A Walk in the Rainforest, A Swim Through the Sea, A Fly in the Sky, Salamander Rain: A Lake and Pond Journal, Saguaro Moon: A Desert Journal and more. Click here to request an author visit for your school. 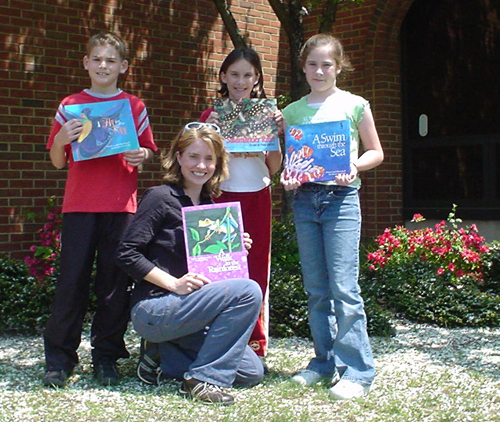 AuthorVisit.com is created by Gabriel Serafini — husband of award-winning environmental children’s book author and illustrator, Kristin Joy Pratt-Serafini.